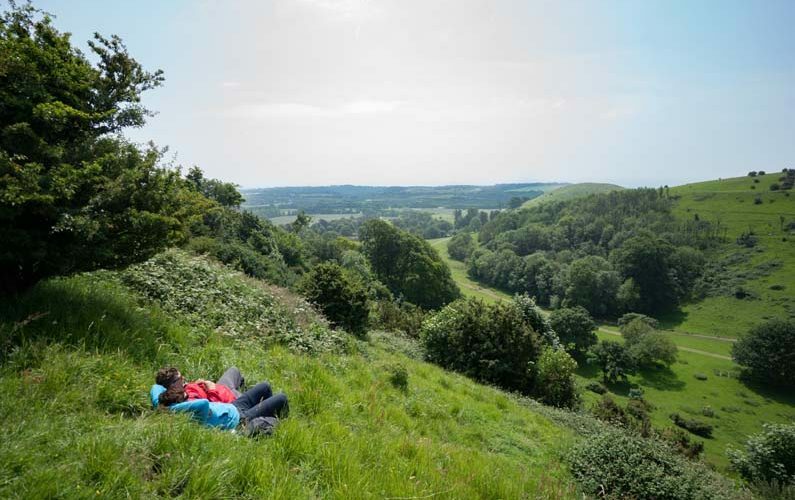 Starting just an hour from the centre of London, this four-day hike explores the amazing and unexpected beauty of the rolling chalk hills south of the Capital. 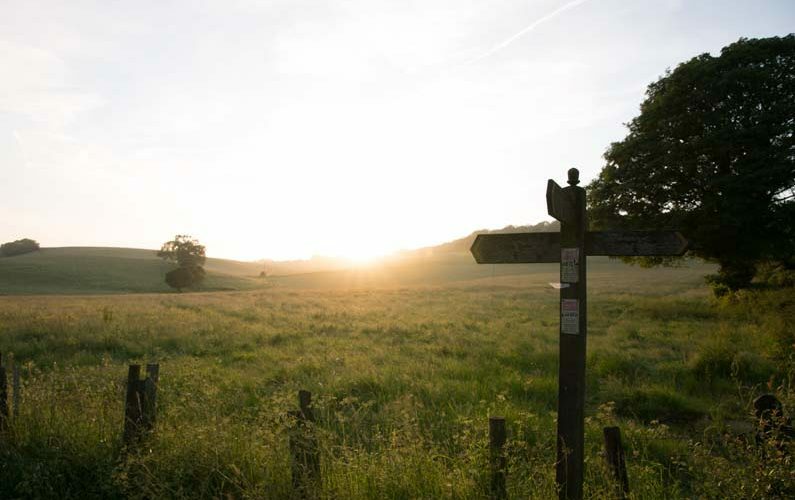 Explore secret valleys and rolling pastureland; discover atmospheric traditional inns and rambling vineyards, walk through shady sylvan glades and along lofty chalk ridges offering stunning views of London’s breathtakingly beautiful green belt. 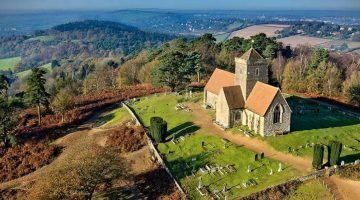 Starting from the rail station at Farnham – just an hour from London – this four-day itinerary strikes out east through dense woodlands of Surrey to Guildford before scaling the chalk ridge of the North Downs. Passing though the huge vineyard at Denbies, it then scales iconic Box Hill and follows the lofty scarp of the Downs to Merstham before continuing along the ridge to Oxted. 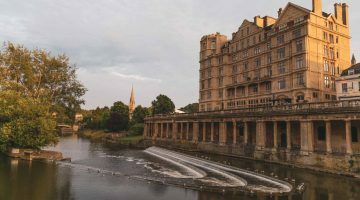 Accommodation options are many and varied to suit all budgets – from budget hostels and glamping to luxurious upmarket inns and hotels. 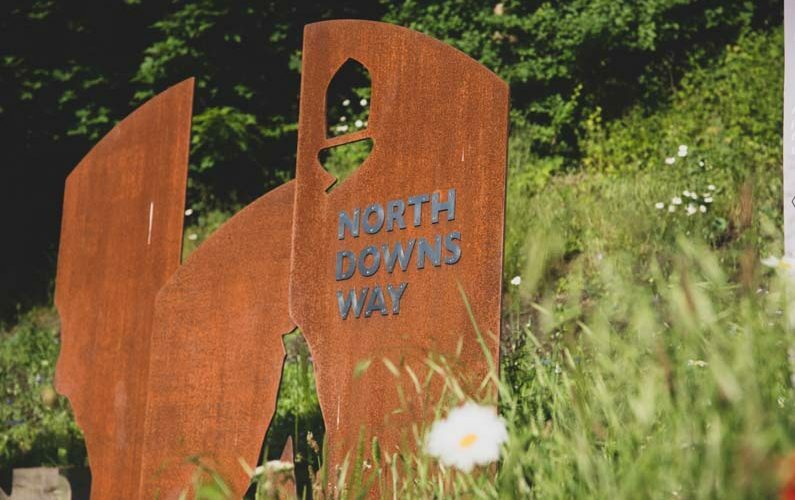 As with many locations along the North Downs way excellent public transport connections make it feasible to walk several sections of this itinerary from a single base, although many walkers prefer a linear route. Both options are equally feasible. 1hr drive from Gatwick/ Heathrow. Eurostar to London or Ashford International. Trains from central London and Ashford approx. 1hr. By Ferry to Dover or Portsmouth, then train. 1hr drive from Brighton area/ Central London. Train stations at Guildford, Shalford, Chilworth, Gomshall, Box Hill & Westhumble & Dorking. Local bus services. This route is moderately demanding with some short steep climbs every day. The paths are generally well maintained and way-marked and you are never far from civilisation or transport if you want to cut a section short. 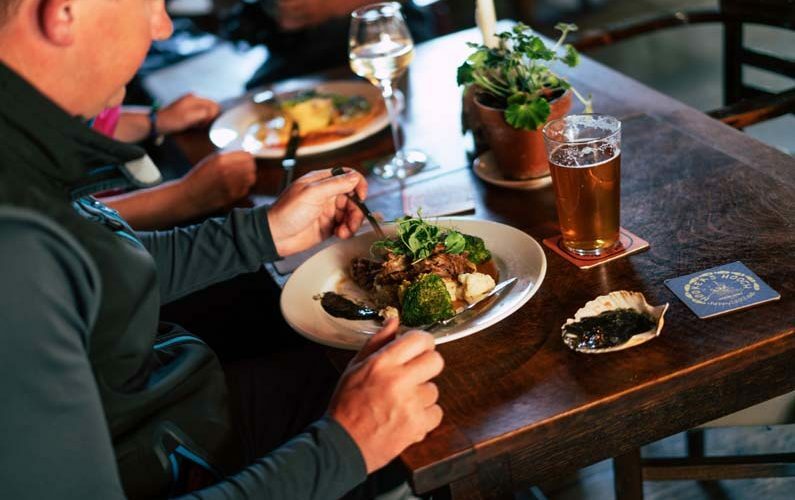 Expect a wide choice of food and drink along the way as this prosperous corner of the London commuter belt offers comprehensive hospitality options. 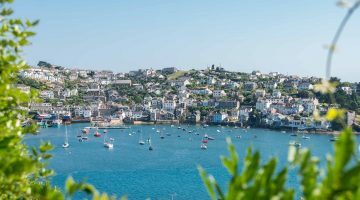 You’ll walk through a number of vineyards which provide grapes for English wines with a growing worldwide reputation and will see Hop Vines and Oast Houses that nod towards this part of England’s deep historic routes with the beer brewing industry. You’re even encouraged to try the local ales by following The Ales of the Trail, hunting down local beers in the rustic country pubs as you walk. Why not stop at the Black Horse in Thurnham with its Pilgrims Hotel, or The Dirty Habit in nearby Hollingbourne, dip a toe in the Stour at the picturesque Tickled Trout in Wye or enjoy local food, drink and quirky rooms at the Five Bells Inn, Brabourne. Whilst in Canterbury pay a visit to The Foundry, home of Canterbury Brewers and Distillers where they make and sell their own wide range of beers and spirits. You could visit one of many breweries from the Hogs Back Brewery in Surrey, the Westerham Brewery at the Kent borders or Englands Oldest Brewery Shepherd Neame in Faversham who make Bishops Finger- a strong ale that takes its name from the original sign posts to Canterbury. East Kent in particular is well blessed with Micro Pubs; small and intimate little pubs that sell mainly local ales; a great place to meet and chat to the locals. Follow an ancient pilgrimage route, along the rolling downland of Kent: the Garden of England, for 5 fantastic days.